"Just back from a wonderful stay in this beautiful hotel, the location is excellent and the hotel is spotless with every comfort, had dinner in the bar which was delicious and breakfast is tasty and plentiful. But it is the staff and service which make this hotel stand out, everyone is so nice and helpful"
The Blas na hÉireann Awards are the biggest blind tasting of produce in the country, and the criteria on which the product is judged as well as the judging system itself, which was developed by Blas na hÉireann with the Food Science Dept. of UCC, is now recognised as international industry standard. These awards are celebrating and rewarding the best tasting Irish food and drink products and the passionate, driven producers who make it. Research has shown that the Blas accreditations have the highest recognition amongst Irish consumers and using the award logo is their guarantee of a top quality Irish product. Blas na hÉireann was founded so that quality benchmarks could be established for Irish produce on a level playing field. 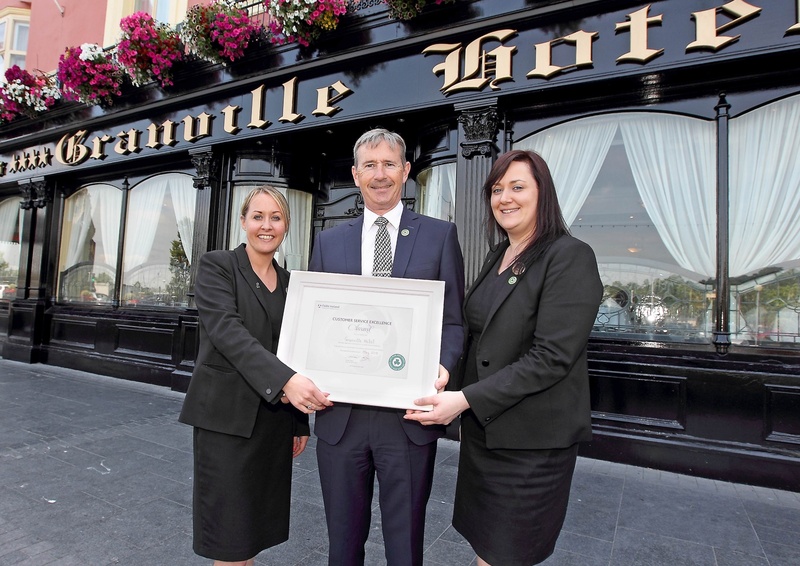 Granville Hotel recognised for attaining the highest customer service standard. 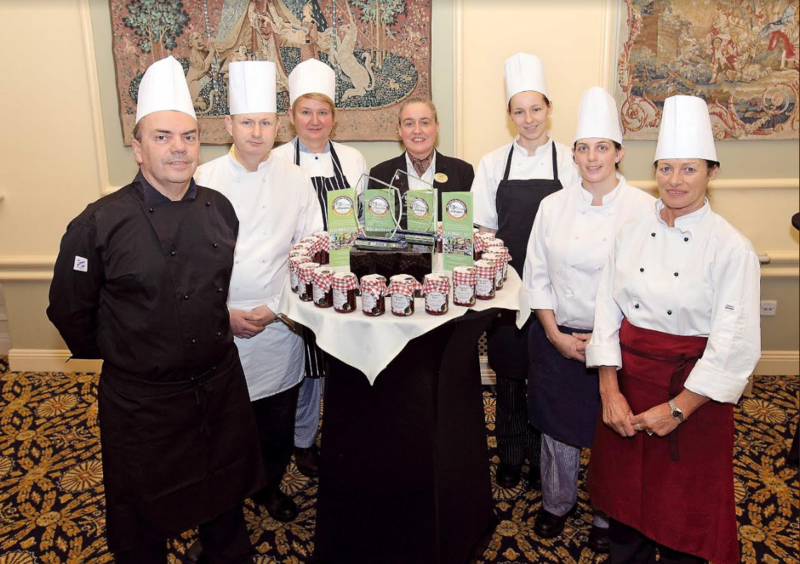 The Granville Hotel has become the first venue in Waterford City to complete the Fáilte Ireland's Accreddited Services Excellence Programme. The programme is aimed at helping tourist business reach "best in class" customer service and great visitor experiences. Over the last few months seventy fice of the Granville team attended this one day programme which reinforces the value of excellent customer service and can result in business growth, additional repeat business and positive recommendations. "Infectious enthusiasm is the keynote here and, from an excellent buffet to the hot food cooked to order, the breakfast offering is outstanding. The famous Waterford Blaa stars in the Bakery Basket of course (and hot dishes include Blaa Eggs Benedict Waterford Style), alongside unusual preserves such as Granville Marmalade with Muldoon Whiskey. 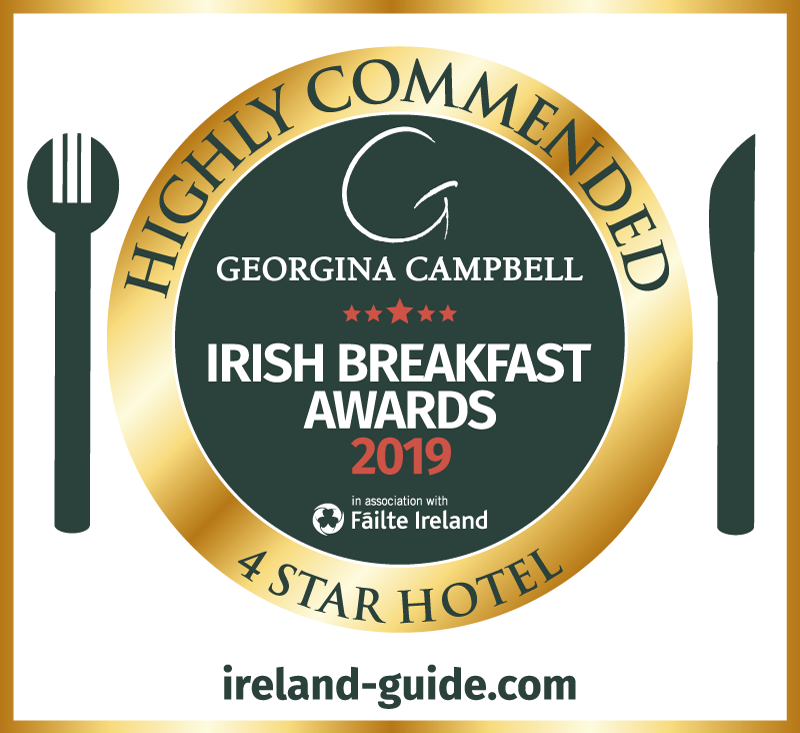 Good renditions of all the breakfast favourites are available, including delicious fresh fish, but perhaps the defining feature is ‘The Granville Hotel Organic Porridge Experience’ which elevates the local Flahavans porridge to a new level - partly by including the local Muldoon Waterford Whiskey Liqueur or Highbank Organic Apple Syrup. Magic." "Irish hotels have taken a terrible hammering over the last few years, but as long as we have great independent hoteliers an important aspect of this country’s unique appeal will be in safe hands. We must treasure them, before it is too late. 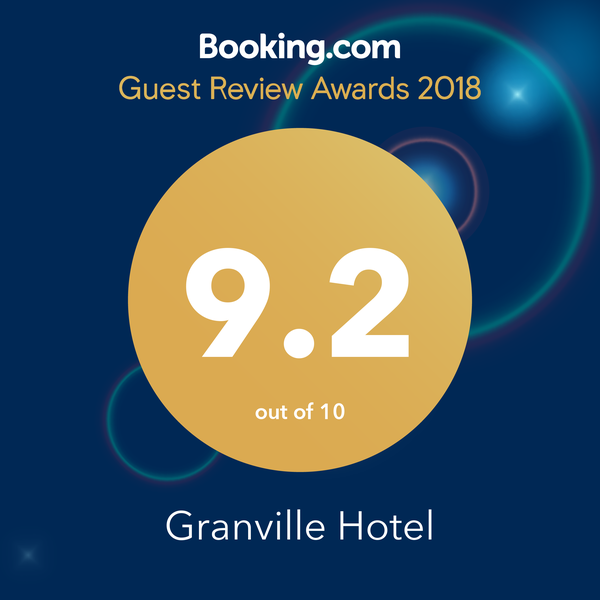 Everyone who visits the Granville Waterford hotel seems to come away with a smile on their face – and probably an anecdote about the lovely staff and how they made everyone feel at home. It’s not a fancy pants sort of place but immaculately maintained, full of pride in its history, its place in the local community and the genuine hospitality they offer their guests. And we love it too: whether for business or pleasure this is a lovely place to stay and it makes a very comfortable and friendly base for exploring the area – we can’t commend the management too highly for their exacting standards in all areas and, especially, the warmth of their genuine Irish hospitality." 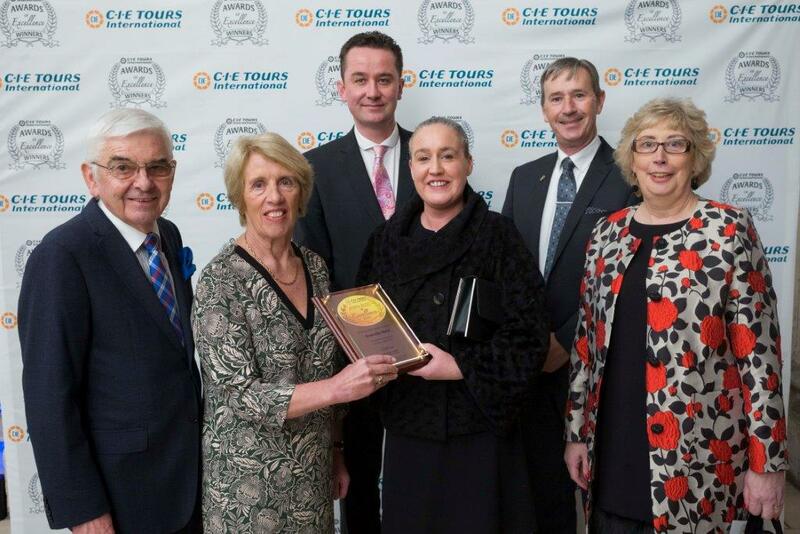 Every year CIE Tours International hold a prestigious award ceremony to recognise hotels and visitor attractions that have provided excellent service. The awards are given based on independant customer feedback from CIE clients. We are delighted to hold a score of 9.2 with Booking.Com, this score is based on genuine customer reviews. 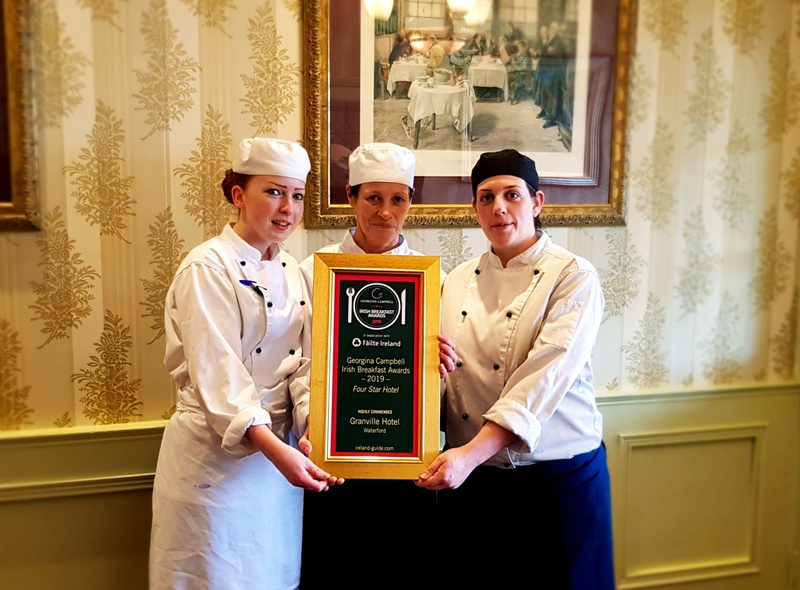 The Granville Hotel is delighted to have a much coveted AA Rosette Award for the Bianconi Restaurant. The AA Rosette Award is awarded to restaurants who provide "truly outstanding food". For properties vying to stand at Rosette level, evidence of quality ingredients, accurate cooking, and clarity of flavour will earn top marks for an AA Food Inspector. A restaurant must truly possess a distinct creative flair; achieving standards that demand recognition nationally, and are well-established in their own right. Most integral to a Restaurant Inspector’s judgment is the taste and freshness of the food on offer, as well as accuracy of cookery. Indeed, it is not the plate of food that is being assessed, but the food on the plate. Book Early & Save 10% per night! The Granville Hotel is a traditional hotel full of character and olde world charm. View our photo gallery to see all we have to offer. Discover all the Waterford Greenway has to offer with stunning views for 46km from Waterford to Dungarvan.